This exceptional property of 365m2 is located on the top floor in the Chartrons district. 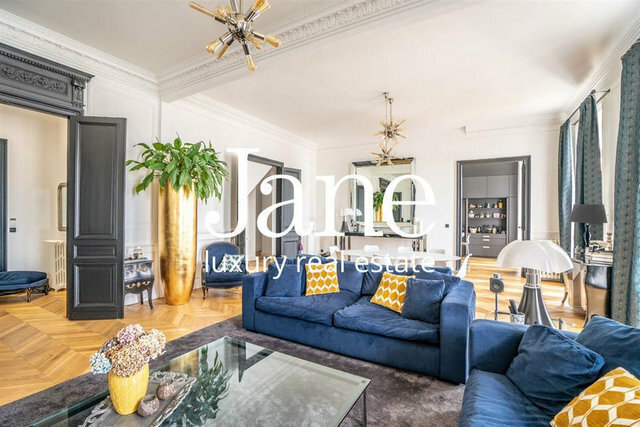 This luxurious apartment captivates you with its high ceilings, mouldings, Hungarian-style parquet flooring and unobstructed view. Then let yourself be charmed by its spacious living/dining room and kitchen. The visit continues with the magnificent master suite with a huge dressing room and a bathroom with an Italian shower. You will never cease to be amazed when you discover the top floor including a sumptuous wooden terrace of 35m2. 6 bedrooms and a second lounge are available on this floor to immortalize your moments.